KABUL: The campaign for the distribution of paper Tazkira for the elections process, which began in March this year, has ended yesterday, the Government Media and Information Center (GMIC) said yesterday, adding the information of the people who received Tazkera across the country, were registered in 6389 books; each book contains 820 records. 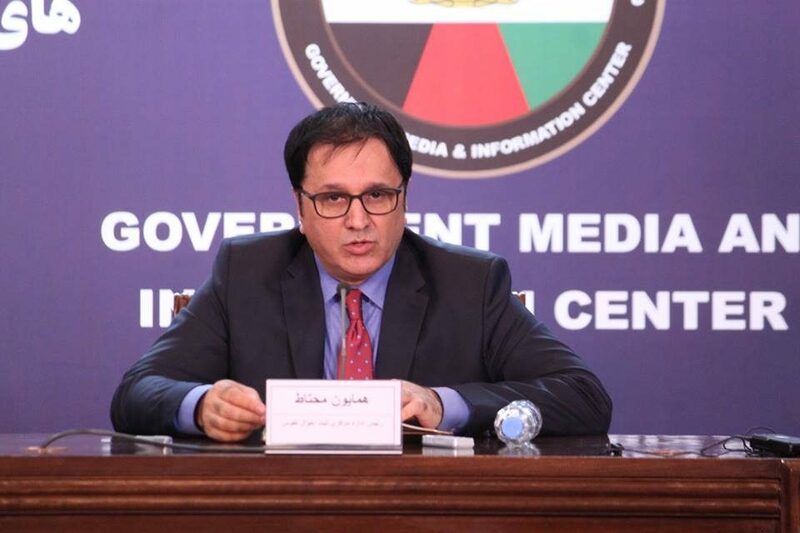 “5034 books have been transferred from the provinces to the center and remaining 1355 other books will be transferred soon.” said Homayoun Muhtat, Director of Afghanistan Central Civil Registration Authority (ACCRA) in a press conference held at GMIC on Tuesday. The process of entering transferred books to the database is completed; meanwhile the review, analysis, and evaluation process of the books is ongoing. 500 books are reviewed yet. He said that 380 suspected records were announced invalid and shared with the IEC. ACCRA Director also added that cooperation with IEC continues on daily basis, and suspected Tazkira are shared with the IEC. Muhtat stressed that “The priority of the ACCRA is to collect the remaining books from the provinces and analyze all the records.” He assured people that according to the principle of transparency and accountability, the work of this office is completely transparent, people and civil society organizations can monitor ACCRA operations on the ground.